If you don’t know how Andrew Friedman works by now, then I might not be able to help you. I mean I’ll still try and help you, but you’ll end up feeling lost and frustrated by the results. That’s how the Dodgers offseason has felt thus far, but I digress. The J.T. Realmuto saga has dragged on and on and on through the entire offseason. We’re only a couple of weeks away from spring training camps opening and he’s still a Marlin. There’s chatter, and there are rumors but nothing has happened. Of course the Dodgers are in those rumors. But again, if you know how Andrew Friedman, the Dodger’s penny pinching president of baseball ops works, then you know full well as I do now that the Dodgers will NOT be trading for Realmuto. Sorry to disappoint some folks here. Yes, read that again. The Dodgers will NOT be trading for JT realmuto. Nope. Not a chance. Not even a glimmer of a chance. There’s a better chance of you winning the lottery, or getting struck by lightning. Now if Realmuto were let’s say a sub .200 hitting utility player, or perhaps an aging pitcher coming off of his third Tommy John surgery, or some unknown Cuban kid that will never reach the majors, then I would say sure there is a chance the Dodgers could do that. But this is Realmuto, one of the best catchers in the game. I actually think he’s a tad overrated at the plate, but he’s still very good overall, and worth giving up a couple of prospects for at the least. This time though I do understand why the Dodgers are not interested in doing it. Surely you all know that the Dodgers have a couple of stud catching prospects down in the minors named Keibert Ruiz and Will Smith. Ruiz and Smith are 1-2 years away from being MLB ready. Those youngsters are the future of the Dodger’s catching corp. It seems pointless to trade for a veteran that has more than one year of team control. 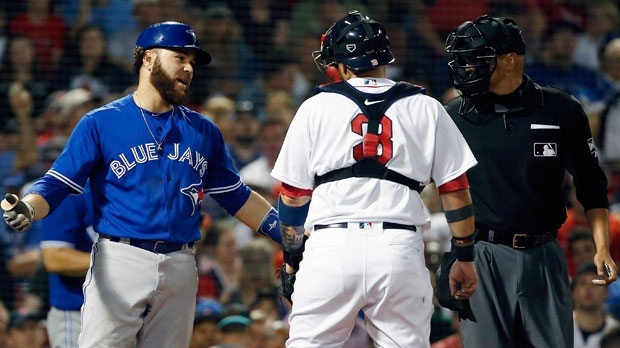 That’s why the Dodgers traded for veteran and former Dodger Russell Martin. This way Martin catches for a year, leaves for free agency, or maybe sticks around as a backup for another year provided the Dodgers get sick of Austin Barnes Mendoza line hitting expert. I would be all for that. Call up Ruiz or Smith and have Martin back them up. I’m all for playing the kids. Martin is a free agent in 2020. That’s when the rookies will hopefully be ready for full time big league action. Meanwhile the Marlins are holding onto Realmuto like a kid clings onto an Easter egg. They’re not letting him go unless you as a team are prepared to empty your farm of most of your prized prospects, and give up your first born child. Either or will do. Let’s not pretend like we really believe that the Dodgers are “all in” on J.T. Realmuto. I am not crying over this at all. It is the way Friedman works and after the last 4 seasons, we should all know this. I believe that the Marlins demands in a trade for Realmuto are something that the owners and Friedman could not live with. So, they traded for Martin. If they thought that Realmuto was the missing link to a World Series title, that deal would have been made months ago. If they believed that retaining Machado and adding Harper would automatically make them winners, they would have forked over the cash. Obviously as we all know, that is not the case. So they have added fringe pieces for the AAA team and Kelly, Pollock and Martin along with Schultz and McCreery. There are 7 days until pitchers and catchers report and the roster sits at 40. Common sense says they are done for now. According to Heyman, the Phillies are making a late push for Realmuto. Surprise, surprise, Machado is not happy with the offers that are out there right now. Poor baby, any one of those deals guarantees that guy more money than any of us could ever imagine. I have no sympathy for guys like that who feel these multimillion dollar contracts they are being offered are below their dignity. I agree with most of your post EXCEPT where you project onto Machado that his dignity is offended by a multi million dollar offer. You; nor I, know NOTHING about Manny’s real life persona….or any other player’s either. Manny may well be a primadonna but if you or I were in his shoes we’d want the most we could get and where we’d want to get it from too. PS: I’ve got no problem with hanging onto our blue chip prospects vs. emptying the farm for a veteran with 2 years control and having them blossom for another team. Worked with Pederson, Bellinger, Seager, Urias (likely) and Buehler so far. With them as the track record, why question Friedman’s judgment on the subject? if it walks like a duck…….Machado to this point has not projected a whole lot of anything. If that one sentence offends you, sorry. I think he feels dis respected that’s his problem not mine. He is a talented player, that is obvious, he like most elite athletes also has a pretty big ego. I tend to believe that ego’s get in the way sometimes. If it was me, I would be pretty flattered at the amounts of money thrown at these guys nowadays. But how much is enough? 7 years 200 plus million with a buyout in a couple of years sounds pretty good to me. But if you have read anything about Manny, it is all about getting more than the 325 Stanton got from the Marlins, and that’s fact not fiction, so no doubt his ego is bruised some. Can’t agree with your assessment on the Dodger players. Pederson never has really blossomed and as a matter of fact he has stunk it up more often than not. Bellinger has had 1 good year so it is pretty early to say he will be a superstar. Seager stays hurt as does Urias all the time so I think it is also early to say they will be a really great players. Buehler looks promising but again we shall see. What could the team have gotten for these guys, we will never know with that idiot Friedman running things. Pack, Bellinger had one outstanding season, his rookie year, and he regressed some last year. That is usually what happens to second year players and it is one of the reasons I do not see Muncy coming close to last years numbers. As for Seager, he did not fall into the sophomore slump. He had a good year with a .295 average, 22 homers and over 70 ribbies. He did suffer a shoulder injury. That injury lingered into last year. So, he does not quote, stay hurt. He finally had to have surgery on his shoulder. So we will see how he fares with a repaired wing. Urias on the other hand, has had a variety of ailments and has had a couple of surgery’s, one to his eye. I think the main thing with Julio is going to be the innings limit. Those guys have a lot of talent, and the fact that other teams valued them a lot is a testament to their potential. And there is that word again. POTENTIAL. A great majority of minor leaguers never reach that plateau. Had the Dodgers dangled Seager in front of the Phillies, they no doubt would have gotten Hamels. The refusal to include Corey was one of the main reasons Cole went to Texas. And since no one player can guarantee you a title, see Machado, see Darvish, for the long run it was the right choice. I do not agree with a lot of things that Ol Andy does. That is no secret. And he is not what I would call conventional in any sense of the word. He does things his way, which for now is the Dodger way, and he has the complete backing of the ownership. That’s the bottom line. And Pack, Joc improved a lot last year and if anything was the main reason Matt sat so much in the second half. Pederson started hitting homers, and was very productive as the leadoff hitter. Pederson has never reached his potential, but he got halfway there last year, which was good enough for the FO not to trade him this winter when everybody and their brother thought he was gone, instead it was Puig and Kemp. 30 million against Joc’s 5. No contest my friend. Honestly, who can really dispute that. And I say it because I have watched this team on the DTV package while living in Southern Oregon for the 4 years Freidman has been here. And I have been following a somewhat similar pattern since I moved here in February of 2004. That is one thing that I would guess most of the players in the Dodger farm system might be afraid of and thus they may hope that they can escape from Dodgers via minor league free agency or some trade of sorts. I know Friedman is Dummy 2 but what I try to do now is don’t ever expect the Dodgers to trade for a real good player or pick up a top tier FA. That way if they get one like Manny I will be happy. Doesn’t happen often but it keeps me somewhat sane because he is just a guy I cannot stand to look at. He is what the Dodgers tried not to be their whole existence until Kasten Friedman and these owners showed up. I’m not even sure what you just said in those last two sentences. No moves today. Rangers did announce that they are retiring Beltre’s #29 this June. I do not think the Dodgers will ever do that for him. He was not really on the Dodgers long enough to do that. The Dodgers announced that they have nothing to announce today. Just heard an interview (forgot the dudes name) with reporter that supposedly has inside contacts with Giants and Dodgers. He says the Giants met with Hyper yesterday and there is an interest from both sides. Hyper supposedly might be willing to take a short term deal, like 2 years for $75 or 80 mil, or possible a three year deal. Hyper’s preference is the Cubs or the Dodgers but really likes the idea of playing on the west coast, so he may be willing to go to the Giants if something can’t be worked out with the Dodgers. Also, he isn’t willing to sit out the season, so something is going to pop very soon. Players like Machado, Hyper and Culber are realizing that the owners aren’t willing to go for the 7 and 8 year contracts, at least this season, and are now getting a little more eager and willing to take some much shorter term contracts. We will see, but the whores are beginning to get more realistic. I read that also. Plus they are talking to the Yankees about Ellsbury. Bad contract for bad contract with the Giants sending Cueto to NY. Most of the signings have been of the minor league variety. With a little over 2 weeks until full squad workouts, you would think there will be Hyper and Misdirecto movement soon. I am somewhat upset about the fact that it took from August until now for the LA Coroner to declare that the lady who was hit by a foul ball last August died from blunt force trauma from the baseball. That seems like an awful long time to figure that out. Ball goes foul, hits her on the head, she goes to hospital, dies 5 days later, case closed…..you would think. 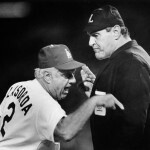 There is news that the MLBPLA and the league are talking some rules changes. Biggest one the fans would immediately see if the players have their way is the DH in both leagues all the time. I hated the DH for years, but now I hate the fact that most pitchers are such automatic outs. I think it disrupts the flow of the game, and I would like more offense. A study to see if lowering the mound is feasible. We all know how that went last time. Pitchers dominated and ERA’s were infinitesimal. Thats why Gibby still has the record at 1.12. Upping the roster to 26, with the possibility of expanding to 28 and having an active 26 man, like basketball a couple players would not be eligible each night. A 3 hitter minimum for relief pitchers, meaning they have to face 3 hitters at least. There goes your 1 hitter specialist. The 26 man roster would also mean if the players get their way that a maximum of 12 pitchers would be on the roster. Here is another that would impact everyone, a single trade deadline, which means no August trades, PRIOR to the All Star break. Not sure if this has much support. But it would force teams to set their rosters a lot earlier in the year than they are used to. Allowing 2 sport stars to sign a MLB contract. This is probably a direct result of the A’s and Tyler Murray. There is a good chance he will sign an NFL deal after the draft, and the A’s could only offer him a minor league deal and a bonus. That bonus no where near what a first round NFL prospect gets. And also a proposal that would award winning teams with draft picks, and penalize teams that continue to lose. That one I personally think has no chance in hell of making the cut. Thats how the Astros were built, with draft picks. Interesting stuff on a no news day so far. I’m 100% for the DH, electronic strike zone, and speeding up the game. One big reason pitchers can’t hit is the DL in college and the minor leagues. I’ve always been against it, but Manfred Mann seems intent on destroying everything good about the game that the Crypt Keeper didn’t already. There’s usually a big difference between what teams ask for in a trade and what they’re willing to take. Good GMs know this…maybe one day AF will figure it out. Hopefully, all those prospects we held onto turn out to be worth it. If this ‘meh’ off-season has you down, listen to the baseball America podcast on the Dodgers. Realmuto circus is over. He goes to the Phillies……3 players and an international slot go back to Miami. Just read about that, Michael so we now can look forward to those Mendoza hitters behind the plate in 2019…. I still think that Barnes is going to be a better hitter. He has always been a contact hitter and got out of that some last year. He was also injured in spring, and that set him back. Martin for most of his career has been decent as a hitter, and actually has some pop. But he did not play a lot last year. I would think he gets more action with the Dodgers than he did with the Jays. Plus he sounds like coming home has rejuvenated him. He could become this years Kemp. I would not write either of them off until I see what kind of job they do in the spring, and remember, the kids are almost here. Smith will be the #1 at OKC, and Ruiz at Tulsa. Hunter Pence signs with the Rangers. A minor league deal. The DL will no longer be called the DL. According to MLB, it is now the injured list. RIP Frank Robinson. Played 1 year in Dodger blue. Alston really disliked the guy. Yep, back in 1972 and he had 19 HR’s that year. I was not aware that Alston had issues with him. OH and BTW, in 1973, the year after Robinson was here, the Dodgers lowered the fences all around by about 2 FT. and Moved them in another 5 FT. If Barnes and Martin can move runners over we will be fine. Grandal is way overrated. Catchers need to catch, call a good game, and be above average in situational hitting.